Disturbing illustrations become realities in this action-packed drama about a man who wants to put a killer behind bars, and another who seeks revenge. 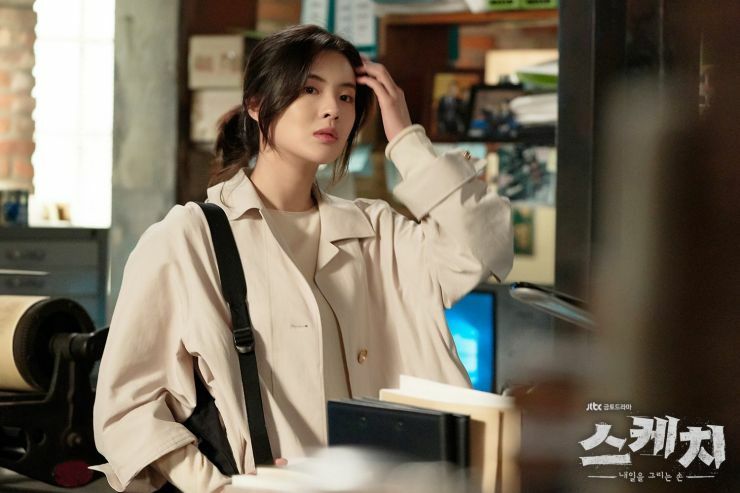 Yoo Shi Hyun (Lee Sun Bin) is a Police Corporal with the ability to sketch incidences and crimes three days prior to when they occur. 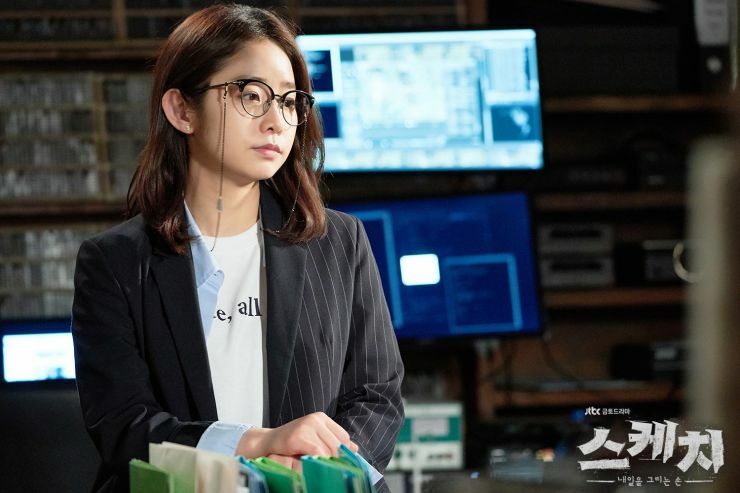 Attempting to prevent a man from dying, she saves Detective Kang Dong Soo (Rain) from being shot during a criminal chase. Dong Soo becomes suspicious of her and stumbles upon her black notebook of sketches, containing either vivid or obscure drawings about cases that have happened or ones that will soon take place. 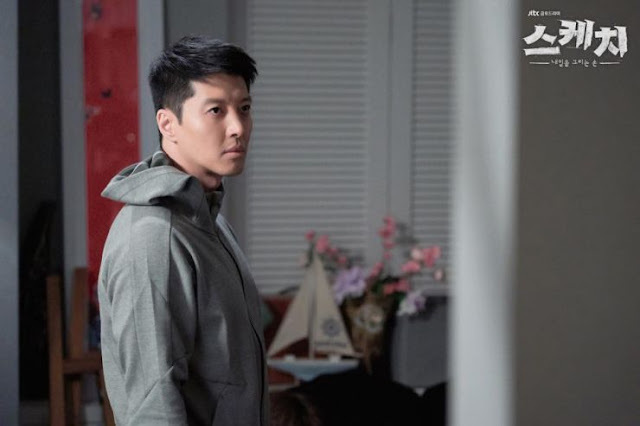 Noticing a drawing containing his fiancee, Dong Soo agrees to help Shi Hyun and the Special Task Force that utilizes her paranormal ability. 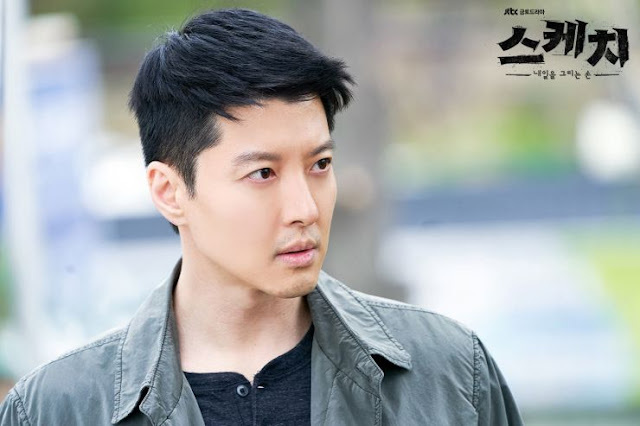 And I'll stop with my synopsis right there because if I include Lee Dong Gun's character and his role in all this, I'd be giving far too much away but I will say he is our man seeking revenge. The premiere was solid and gripping, really typecasting the right actors for the roles. And I'll be honest, I cry when Lee Dong Gun cries, and applaud Rain at the end of every action scene he's in. Both actors are fitted into roles that are obviously right for them. Lee Dong Gun is known for great emotional trajectory while Rain delivers entertaining action full of fight scenes that have you glued to your seat, and you can expect as much from their performances in Sketch. There's a lot covered in our first episode, providing us with some insight into Shi Hyun's ability. She becomes possessed almost during the moments where she's sketching, her eyes inhumane as if her body is consumed by something and may be a form of clairvoyance. Si Hyun can't even fathom what she draws, not having visions or dreams before drawing as I'd originally thought. Instead, she develops painful headaches that somehow result in her trance-like state with a pen in hand, vigorously drawing what seem like scribbles until she's finished. There's also laws or physics applied to her sketches, as Shi Hyun specifically believes in the cause and effect principle but is aware of the fact that her sketches have never been proven wrong so even if she intervenes to change someone's fate, something else will occur to give the same outcome as the sketches, which is ultimately death. 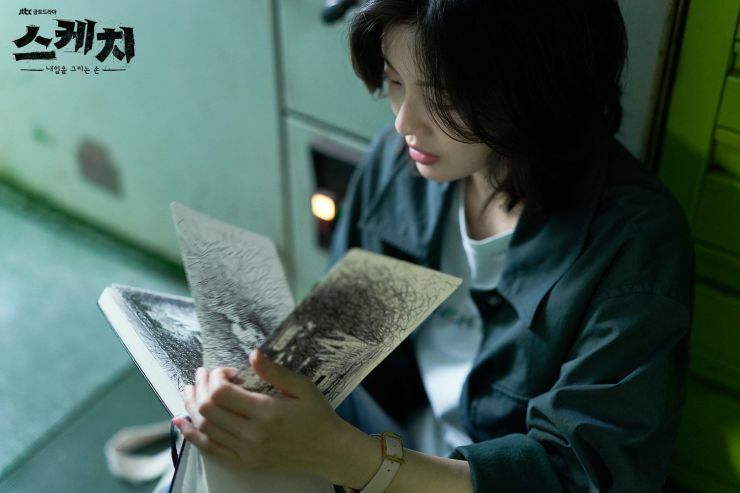 They're also pieces to a large puzzle, the subjects or objects in her illustrations being connected and this is something to keep in mind because the twists the drama throws at us stem from the contents of Shi Hyun's drawings. 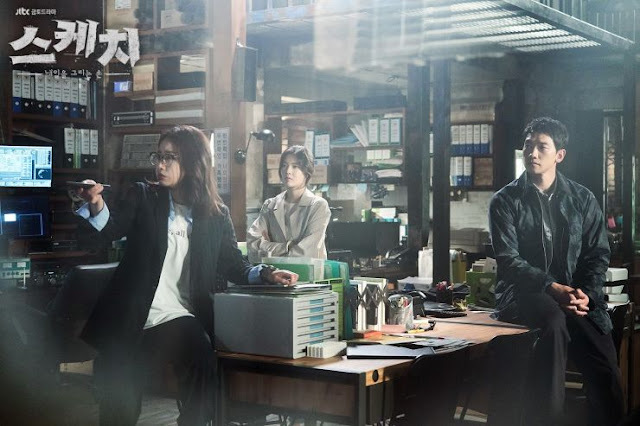 I'm worried the drama might not be as impressive as I had hoped since a lot of the issues and detective work revolving around the sketches could easily be solved through other means. So it's a show that promises to be engrossing but not as intensive as it could be had the script been more detailed to give us a better plot and investigation process. That may be my only concern but this problem might turn into something worse for viewers if it continues this trek. If the drama disappoints then it'll be due to these scenes where the investigation falls flat, creating plot holes that could have been repaired or rectified had there been more thought and care gone into the story to give us something more intricate. Had it dug deeper to focus on complexities, the drama would have blown my mind. 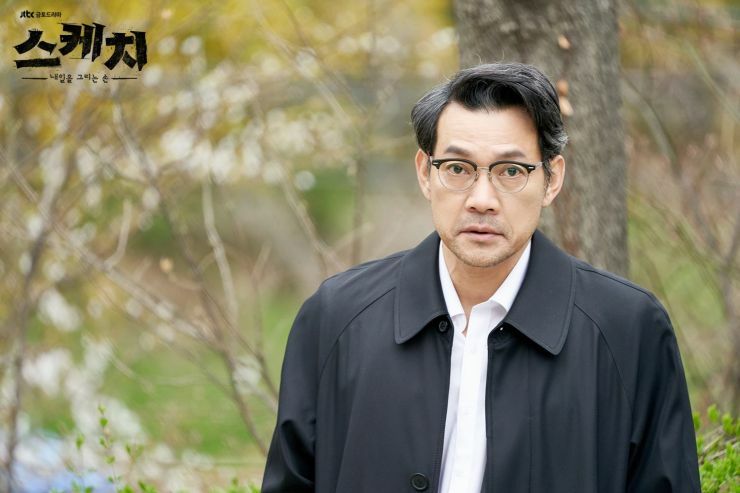 However, since it's only the first episode I wouldn't be too disappointed, plus the revenge arch of the story doesn't even get rolling until episode 2 and Lee Dong Gun's character could very well make up for what was lacking in the pilot episode. I like where this is going so far as it gives us something new, a blessing when there's a massive amount of crime and mystery dramas airing or being produced. 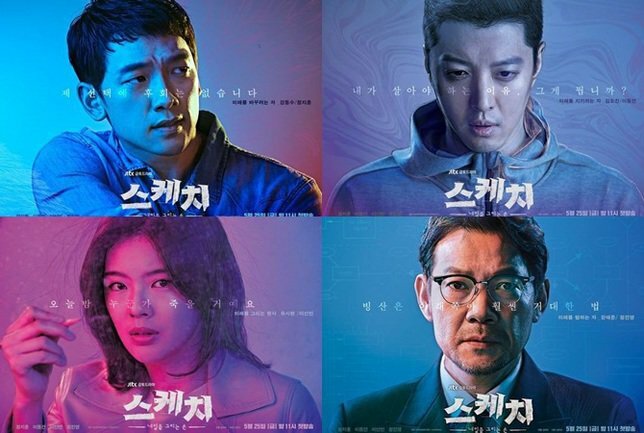 It's always an entertaining watch when mystery and crime intersect with the supernatural but the show is taking it into another direction with a Police Force that's designed to make use of Shi Hyun's sketches. She's not riding solo like so many characters in other dramas who've been able to prevent crimes before they happen, having to conceal their abilities or knowledge. The science fiction elements are clearly a mystery in itself, and the discoveries that occur in relation to the sketches seem more fascinating than the crime stories presented. From what I've read, all our leads will be hunting the same serial killer so once the killer is introduced then I might be more invested in catching the bad guy. 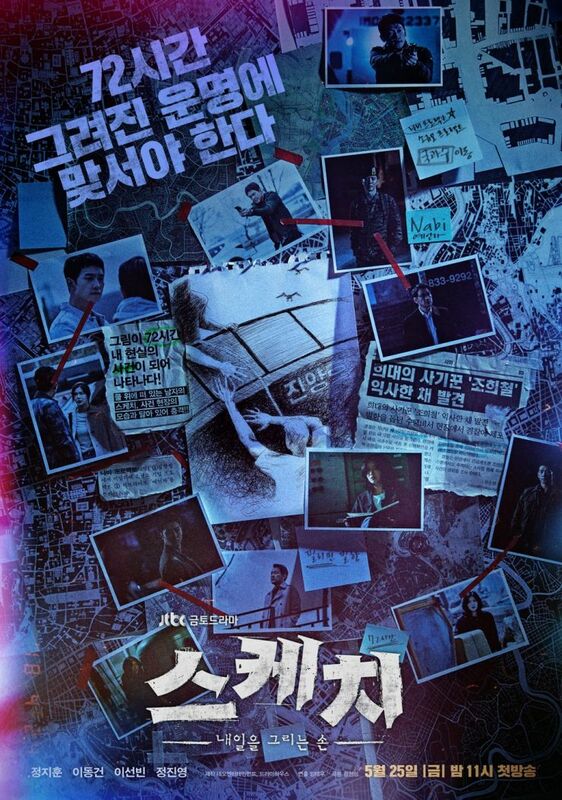 Overall, the twists are well executed and timed and make this drama worthwhile. I was absolutely floored with the climatic ending of the first episode, and if every episode is full of surprises and sudden curve balls then I'm sold! Sketch delivered a solid first episode and if it continues to surprise it's viewers, taking risks to create great science fiction and fantasy moments, it'll mark itself as being unique and a gem of a drama.